Fancy a London mini break? It might get a lot cheaper this summer. The Bank of England governor said Thursday that a British vote to quit the European Union could result in "material slowdown in growth and notable increase in inflation" and could possibly lead to "technical recession." Mark Carney also said the British pound could fall, "perhaps sharply," if the U.K. votes next month to quit the European Union. The currency has lost nearly 8% against the dollar in the last 12 months, and 2% since the start of 2016. Carney said the uncertainty surrounding the referendum is already hurting the pound. "A vote to leave the EU could have material economic effects -- on the exchange rate, on demand and on the economy's supply potential," Carney said in a letter to U.K. Chancellor George Osborne. A lower pound makes it cheaper for tourists to visit Britain, but more expensive for Brits to holiday abroad. It also pushes up the cost of imports, which can lead to higher prices overall. Many economists say a British exit from the EU (Brexit) -- the world's biggest single market -- would hurt trade and growth. 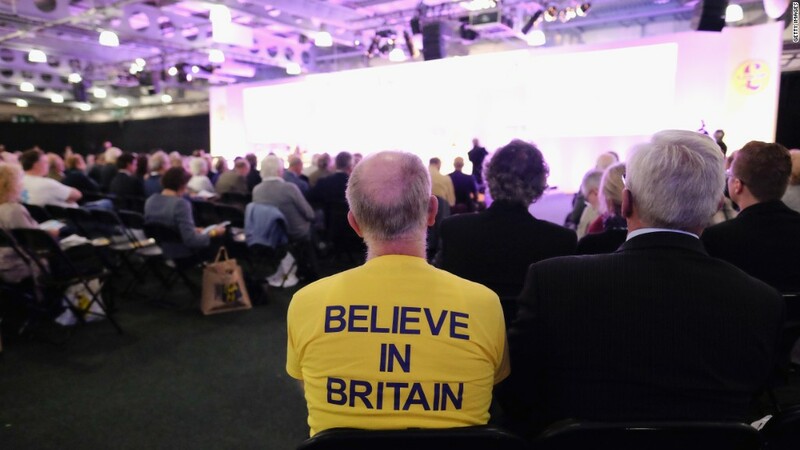 Brits will decide whether they want to remain part of the EU in a referendum on June 23. Latest opinion polls suggest the public is split, with roughly one in seven voters undecided. Carney previously said he would not take sides in the referendum debate, but he has warned that dropping out of the EU would present "the biggest domestic risk" to financial stability. The uncertainty surrounding the vote is already hurting the economy. Latest official data show economic growth slowed to 0.4% in the first quarter. Industrial production and construction output shrank, as investment decisions were postponed until after the referendum.